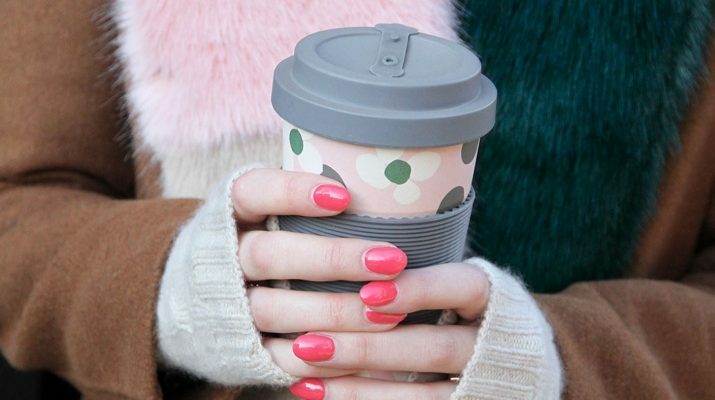 Are you ready for the big freeze? With snow afoot, cashmere and fur become everyday essentials. 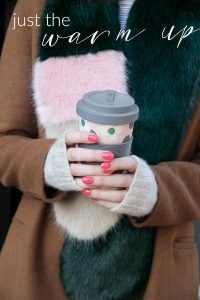 Love these 100%pure cashmere wristwarmers with colour block faux fur stole from Caroline Gardener and not leaving the house without a piping hot coffee in hand…perfect for buggy walks!